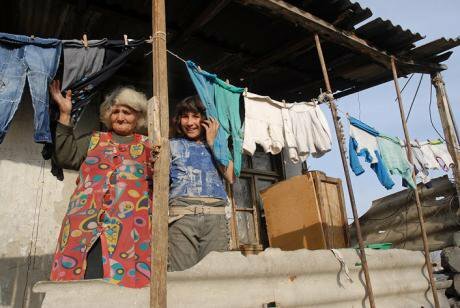 Renewed hostilities in Nagorno-Karabakh have put Georgia’s Armenian and Azeri communities in a delicate situation. But despite tensions, they are finding new ways to coexist during conflict. Last week’s clashes on the Line of Contact (LoC) separating Armenian and Azerbaijani troops in and around Nagorno Karabakh stirred up nationalism and animosity not only in Armenia and Azerbaijan, but also in neighbouring Georgia. The worst clashes in nearly 22 years, alarm bells were ringing in the capital Tbilisi — not least because of Georgia’s significant Armenian and Azeri minorities. According to Georgia’s 2002 census, 284,761 ethnic Azeris and 248,929 ethnic Armenians live in Georgia, making up roughly 6.5% and 5.7% of the country’s overall population respectively. 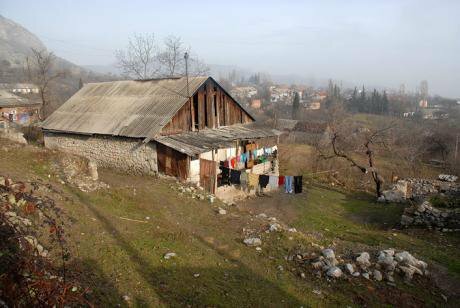 South of Tbilisi, in Kvemo Kartli, there are at least three villages co-inhabited by members of the two minority groups. Most of the road traffic from Armenia into Georgia passes through this region, which is home to the largest concentration of ethnic Azeris in the country. Meanwhile, the conflict in Karabakh is far from frozen. In the two decades since the 1994 ceasefire between Georgia’s southern neighbours, as many as 3,000 people are believed to have died in skirmishes on the LoC as well as the Armenia-Azerbaijan border. Propaganda and misinformation continue to play an important role in pitting the populations of both countries — and their diasporas — against each other, something that was set to escalate as the new round of fighting broke out. On 4 April, Armenian officials gleefully made (so far unproven) claims that ISIS operatives were fighting on the front lines for Azerbaijan, while the Azerbaijani and Turkish press alleged that 400 fighters for the outlawed Kurdistan Workers Party (PKK) had slipped across the Armenian border with Turkey to bolster the ranks of the Armenia-backed separatist army in Nagorno Karabakh. A few days later, the claims subsided, with an “ISIS presence” turning into “ISIS-like tactics”. Meanwhile, a video circulated on Facebook showing a group of men with PKK flags attacking Azerbaijani protesters in Paris instead. Even so, the damage had been done. Social media amplified the nationalist narrative still further — with predictable consequences. 6 April 2016: Armenian soldiers patrol near the village of Madaghis in Nagorno-Karabakh, Azerbaijan. (c) Karo Sahakyan / AP / Press Association Images. All rights reserved.Young people in Armenia and Azerbaijan alike declared that they would volunteer to fight their “historic foe”, and unity rallies in Yerevan and Baku provided welcome relief to governments more accustomed to people assembling to call for their resignation. Indeed, a 2010 report published by the Caucasus Research Resource Centres (CRRC) noted that "without more accurate and unbiased information free from negative rhetoric and stereotypes, Armenians and Azerbaijanis will continue to see each themselves as enemies without common ground. [...] This is a role the media has and continues to play with regards to the conflict over Nagorno Karabakh." And such concerns are real. Four days after fighting erupted on the LoC, for example, some Georgian and Azerbaijani media carried reports that Azer Suleymanov, a MP from Georgia’s United National Movement (UNM), the party of former president Mikheil Saakashvilli, would reassemble his battalion of 150 men, which was formed during the August 2008 war with Russia, to fight on the side of Azerbaijan in Nagorno Karabakh. An ethnic Armenian teacher teaches Georgian to a class of ethnic Azeri first graders in Tsopi, a village close to Georgia's border with Armenia. 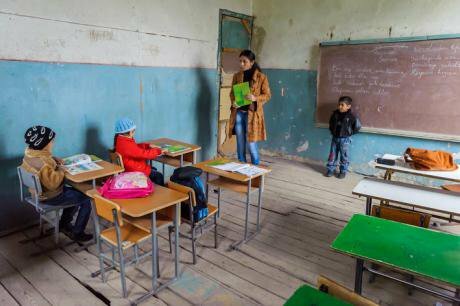 The teacher is fluent in both Armenian and Azerbaijani.Nationalists in the mainly ethnic Armenian-populated region of Samtskhe-Javakheti also voiced the same intent to gather volunteers, but to fight on the side of Armenia. The region, with ethnic Armenians constituting the largest ethnic group at 55%, is still considered to be poorly integrated into Georgia. Many ethnic Armenians do not speak Georgian fluently and some analysts and politicians also consider the region susceptible to separatism, allegedly encouraged by Russia. Some Georgian media, however, chose not to report on this mobilisation. Indeed, says Arsen Kharatyan, the Director of the Armenian Aliq Media radio station in Georgia, they were right not to. “We didn’t want to see tensions heightened even further,” Kharatyan tells me. Kharatyan describes the relationship between the ethnic Armenian and Azeri communities in Georgia as being similar to a “gentleman’s agreement” not to allow the conflict to affect them. However, he adds, in nearly 22 years since the ceasefire, both Armenia and Azerbaijan are now more engaged with their respective ethnic communities so their influence is stronger. The Georgian media, he notes, has been mostly neutral in covering the escalation. Ethnic Armenians in Tsopi, Georgia. Situated close to the border with Armenia, the village is co-inhabited by ethnic Azeris and Armenians. Ethnic Azeris are in the majority of about 75%. Tsopi is a now sadly rare example of co-existence.That is a reality that Camilla Mammedova knows only too well. Mammedova is the ethnic Azeri Media Director of the Georgian and Azerbaijani-language Radio Marneuli, a local media outlet in Kvemo Kartli. Mammedova also says that while ethnic Armenians do live among a much larger ethnic Azeri population in and around Marneuli, including co-inhabiting the same villages, most ethnic Azeris appeared to support the resumption of hostilities. Kharatyan also says there were unconfirmed reports of cars with Armenian number plates being pelted by stones. 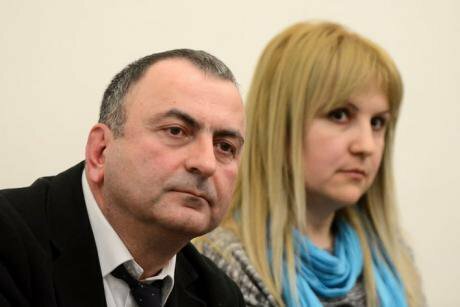 Nevertheless, Stepanyan stresses, it is unlikely that Armenia and Azerbaijan are purposely targeting their ethnic kin in Georgia given the importance of the country as a transit route for both. However, according to Stepanyan, the authorities in Tbilisi must voice their concerns with their counterparts in Baku and Yerevan. While the problems are low level for now, they could escalate. By way of their own response, the Thinking Citizen platform — a series of informal meetings and public discussions organised and led by a group of grassroots Azerbaijani and ethnic Azeri activists held twice a week in Tbilisi — devoted three hours to discuss the escalation in Karabakh last Thursday. Around 50 people, including Armenians, Azerbaijanis, and Georgians, were present. The majority, however, were ethnic Azeris from Georgia, as well as Azerbaijani journalists and civil society activists from Azerbaijan. Mikheil Mirziashvili, Director of the Regional Centre for Strategic Studies in Tbilisi, was one of two Georgian speakers addressing the issue of what impact the escalation has had on Georgia. With the possibility that Russia might support Armenia in any further resumption of hostilities, and with Turkey linked culturally and historically to Azerbaijan, concerns over Georgia’s Armenian and Azeri minorities were heightened given Tbilisi’s own problems with Moscow. Of course, Georgia has its own interests to balance. Azerbaijan is the country’s largest foreign investor, having invested $542m in the country in 2015 with SOCAR Energy Georgia, a subsidiary of the State Oil Company of Azerbaijan. 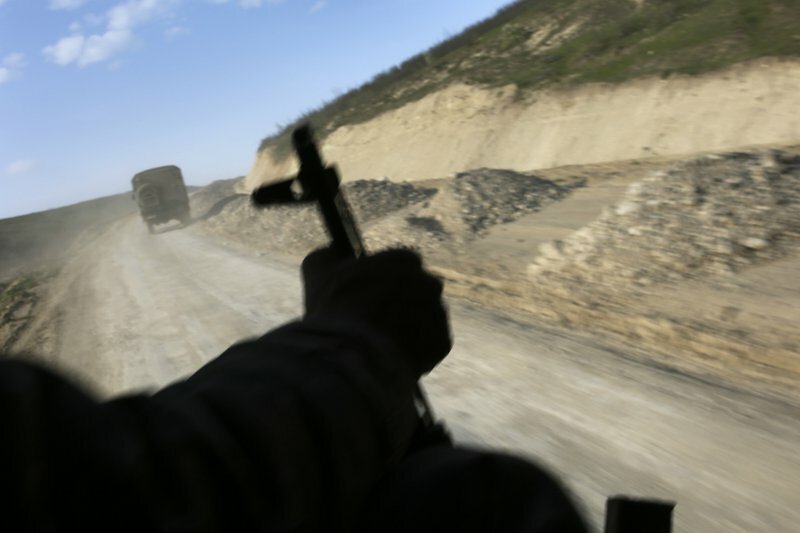 Armenia-backed forces in Nagorno Karabakh have on previous occasions threatened to target the Baku-Tbilisi-Ceyhan pipeline if fighting ever resumed. For now, though, the escalation has died down. But the experience highlights greater problems if it were to occur again. For Georgia, countering the information flow from Armenia and Azerbaijan and improving the level of Georgian language proficiency among the country’s ethnic Armenian and Azeri communities should be a priority. Despite some progress since the 2003 Rose Revolution, the fact that this remains to be done demonstrates how full integration into Georgian society is still lacking. Images (c) Onnik James Krikorian unless otherwise stated.